A music video made in Bilibid entitled "Pa'no 'Yon" had been making its round on social media, enraging some netizens and questions the credibility of the New Bilibid Prison. Waray-Waray and Ozamiz bank robbery gang leader, Herbert “Ampang” Colangco is one of the high-profile inmate now under investigation. Herbert “Ampang” Colangco had been in prison since 2009. Together with other ‘VIP’ inmates under investigation, he was transferred to the NBI headquarters. DOJ had revealed that they had found some diamond-studded Patek Philippe and othe expensive watches in his possession. News of 19 high-profile inmates living lavish lifestyles inside the New Bilibid Prison had made many furious as the inmates are supposed to be under maximum security. Department of Justice Secretary Leila de Lima made a surprise visit in New Bilibid Prison after rumors of drug deals had made its way to media. While in the maximum security compound, it did not stop him from pursuing his career as an artist. De Lima had discovered a furnished generator-powered 60-square-meter music studio and a stages where Colangco actually recorded his music videos of songs composed by Edith Gallardo. He was also able to release an album Kinabukasan by Ivory Music and Video. The album had hit platinum and gold selling more than 15,000 copies. He was allowed to have a concert inside the Bilibid. 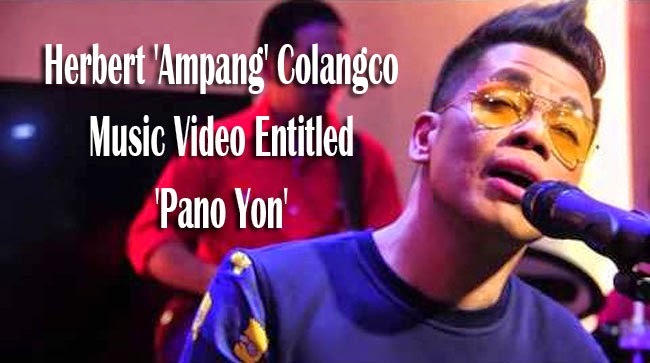 He was also able to upload his music video os the song Panu Yon on YouTube which has now more than 50 thousand views and scraping comments of how he had no right having en expensive recording studio. The expensive music studio is set to be demolished. Many expressed their disappointments over the management of New Bilibid Prison and asked for a thorough investigation. De Lima expressed that she will make sure to find out those who should to take responsibility.